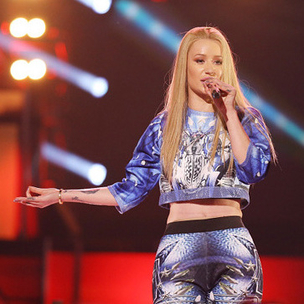 Iggy Azalea beat both Eminem and Drake in the Favorite Rap/Hip Hop Album and Artist categories at the 42nd American Music Awards earlier tonight (November 23). Azalea entered the night as the most nominated artist of the year with six nominations and left with her first American Music Award for The New Classic. 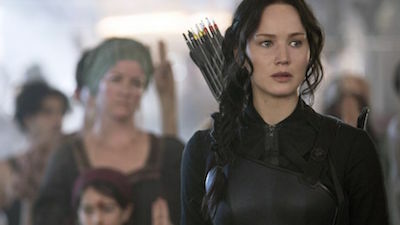 "Mockingjay, Part 1" didn't catch fire like the previous installments of "The Hunger Games," but it still had the biggest opening of the year with $123 million at the weekend box office, according to studio estimates Sunday. Will Katy Perry be a firework at the Super Bowl? Will she show them what she's worth? Will she let her colors burst? The NFL announced late Sunday — after rumors swirled for weeks — that the pop star will headline the Pepsi Super Bowl halftime show on Feb. 1 at the University of Phoenix Stadium in Arizona. It will air on NBC.